Cyber Monday Deals EXTENDED Through Tuesday! Hello %first_name%, Enjoy some of our lowest prices ever on Cyber Monday! Hundreds of items have been reduced, no coupon code necessary! View all of our Cyber Monday Deals. Get free shipping on $99 orders and a free Trail Tech Hour Meter on orders over $150. This sale is Monday only! Contact our Support Center for more information. Free Shipping on $99 Orders!!! Enjoy a lower free shipping threshold. Receive free Ground Shipping on orders over $99 on Cyber Monday only! Hour meters are a must-have on every bike. 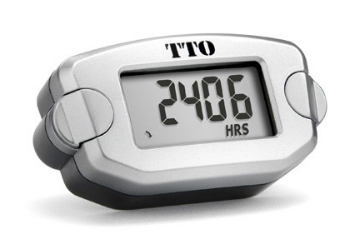 Get this popular hour meter from Trail Tech with your online order of $150. Checkout will prompt you to add this item to basket. Do not add to basket before checkout. *Free with orders over $150. Checkout will prompt you to add this item to basket. Offer not available to Dealers or Sponsored riders. Get our lowest prices ever on some of our most popular items including KTM Powerwear Pants & Jerseys. View all of our Cyber Monday Deals. Save upto 56% off KTM gloves! View all of our Cyber Monday Deals. Save up to 69% on our best selling helmets! View all of our Cyber Monday Deals. Amazing deals on KTM and RedBull Signature Series bags by Ogio. View all of our Cyber Monday Deals. The perfect stocking stuffer gifts! View all of our Cyber Monday Deals. A wide variety of KTM Powerwear for that special lady friend on your list. View all of our Cyber Monday Deals. A large amount of Husaberg apparel is still avaialble at unbelievable prices! View all of our Cyber Monday Deals. AOMC has the coolest KTM youth apparel ever! View all of our Cyber Monday Deals. Insane deals on KTM and Husaberg polos, they might as well be free! For that special mechanic on your shopping list! Keep warm this winter with our huge selection of discounted KTM Powerwear Hoodies! No one offers the selection and savings on KTM Powerwear than the AOMC! We have stacks of closeout hats ready for holiday delivery at great prices! We have the largest stock of KTM, Husaberg and Husqvarna riding gear on the planet, and its all on sale! View all of our Cyber Monday Deals.